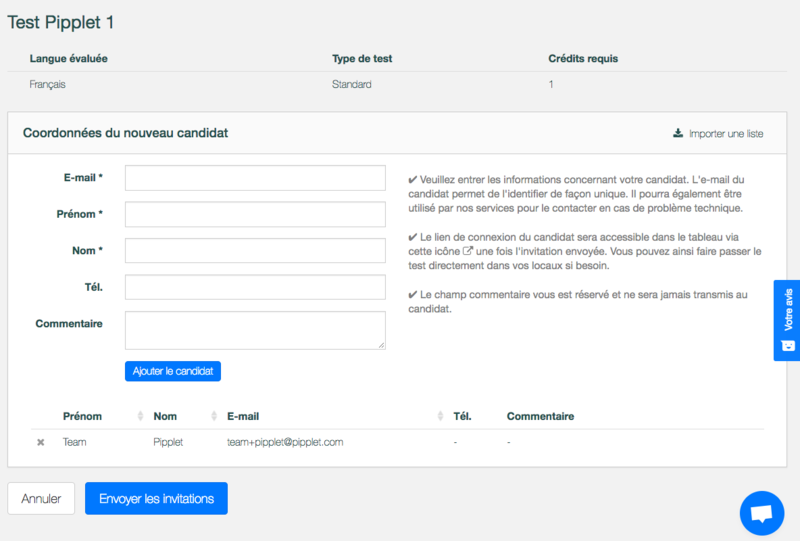 How to edit a candidate's contact informations? Unfortunately, it is impossible to edit the contact information of candidates. You will need to delete the candidate and add him again to your campaign. Follow the described steps of the following article: How to cancel a Pipplet test?